The weather was so hot and the traffic is so heavy. 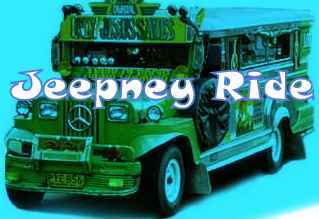 Today's jeepney ride had been a very sweaty ride. I already see sweats dripping from the elbows, face, neck and other visible parts of the body of my co-passengers. Added up by the heavy traffic, the jeepney is already not moving and I cannot feel the wind anymore or anything that would extinguish the warm air. I could really feel that my face is perspiring as well as any parts of my body. It was so hot and there is this sticky feeling that would want you to soak yourself on cold water. Thankfully the traffic last only for a couple of minutes and the jeepney ride went on.